Sum of All Fears is a completely revolutionary game from the team at Ubisoft which focuses on a military battle which could cause the end of the world as we know it. The game itself is very good all round from its graphics to its game play and the plot is very good indeed and follows the movies story very well which is highly entertaining. 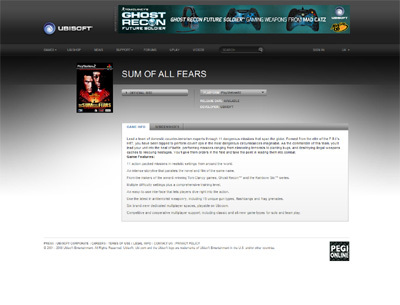 We have also compiled a Review System for this, of which Sum of All Fears is Rated as Three Stars, the third highest possible score available from the Game Review Team.